It's a great time to be a Doctor Who fan, or Whovian if you will. Not only is the Complete Seventh Series about to reach store shelves but we're celebrating 50 incredible years with BBC's flagship sci-fi franchise. 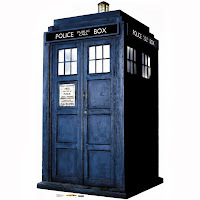 Whether you're a Pertweee, Tennant or Smith fan (FYI, Baker for me) one thing is constant: The TARDIS. To celebrate the release of Doctor Who: The Complete Seventh Series on DVD and Blu Ray, the TARDIS will be visiting The Galeries in Sydney. More details after the jump. Calling all Whovians and Time Lords! To celebrate the arrival of Doctor Who: The Complete Seventh Series on Blu-ray and DVD, the TARDIS will be rematerialising at The Galeries in Sydney on Saturday 9th November. Fans and visitors will be able to view the TARDIS, and have their photo taken in an out-of-this-world photo booth. Photos will be printed on the spot and emailed, so they can be shared with friends, family and fellow fans across social media. And be sure to look closely as The Doctor may even find his way into your photo! It’s free of charge, so pack your sonic screwdriver and head to The Galeries on Saturday 9th November to get up- close and personal with the coolest mode of intergalactic transportation in the entire universe – the TARDIS!